Palmachim serves as the primary test site for Israel's Jericho II ballistic missiles and Arrow missile defense systems. According to Jane's, the base's missile operations are top secret. The facilities are only 1km from Highway 4 and the town of Yavne. 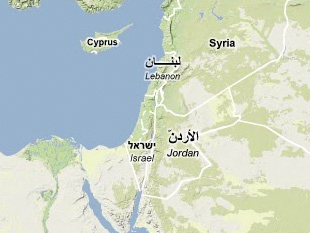 "Palmachim/Palmikhim/Yavne," GlobalSecurity.org, 19 March 2010, www.globalsecurity.org. "Arrow Weapon System (AWS)," Jane's Land-Based Air Defence, 11 November 2009; "Jericho 1/2/3 (YA-1/YA-3)," Jane's Strategic Weapon Systems, 3 August 2009. "Palmachim Air Force Base," Jane's Space Systems and Industry, 7 October 2009. "Israel Missile Update - 2000," The Risk Report 6, no. 6, November to December 2000, www.wisconsinproject.org. "Shavit/Leolink," Jane's Strategic Weapon Systems, 24 March 2010. "Eastern Mediterranean, Strategic Weapons Systems," Jane's Sentinel Security Assessment, 18 March 2010.